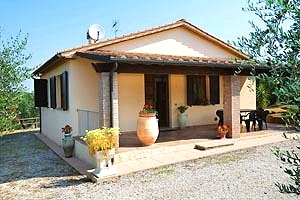 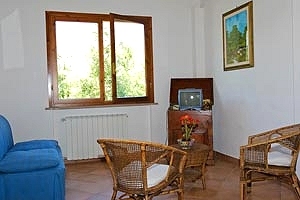 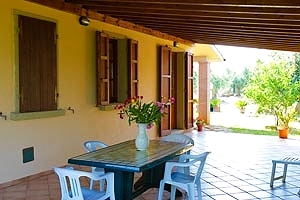 The property consisting of two independent villas is a few kilometres from the stunning beaches of the Etruscan Coast. 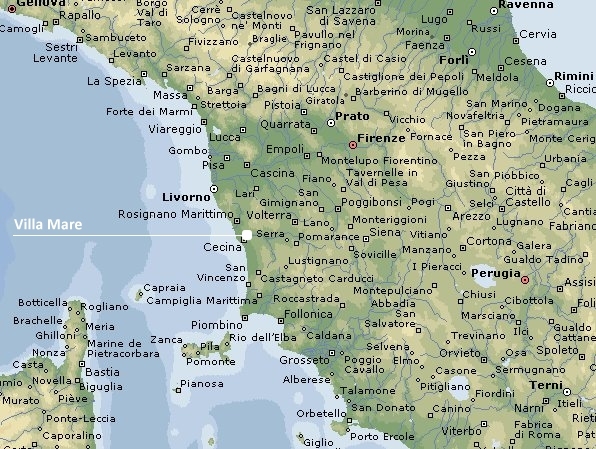 As its name says, the Etruscan Coast is a coastal region in the province of Livorno (Tuscany) featuring rocky stretches and sandy beaches, which offers the possibility of practicing water sports such as sailing, windsurf and scuba diving in the wonderful gulf of Baratti. 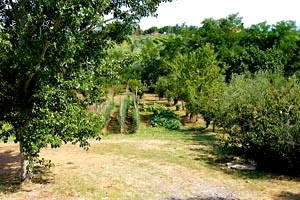 The region is also rich in natural parks and oases, such as the Bolgheri WWF Oasis, the Parco delle Colline Livornesi and the floro-faunistic oasis of the Parco di Rimigliano. 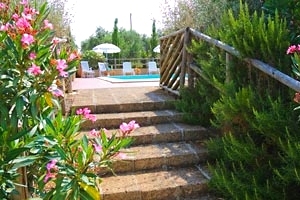 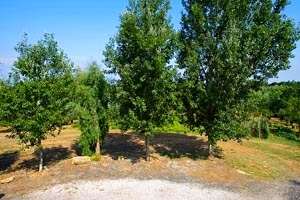 The two villas are set in a large, fully fenced park situated in a very peaceful area in the countryside around Cecina (Livorno), just 5 kilometres from the sea. 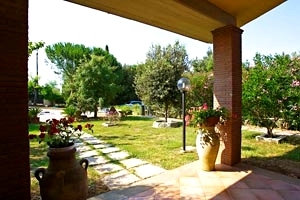 A golf club, a riding stable, a tennis club and some thermal baths are near the villa. 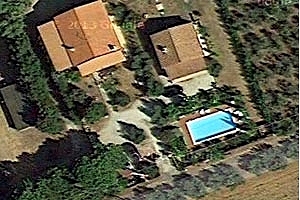 The private swimming pool (12x5 m; depth: 1.50 m, in common to the two villas) is in the shared part of the park. 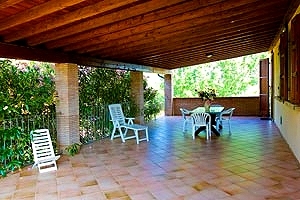 Both villas have their own barbecue and a private portion of garden equipped for alfresco dining. 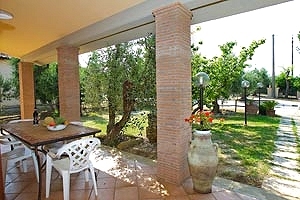 Villa A features also a wide covered terrace overlooking the surrounding countryside. 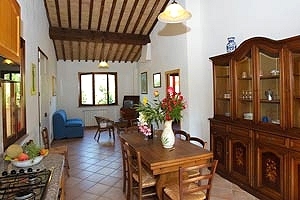 The property composes of two one-storey villas and in total it can accommodate 14 guests in 4 double bedrooms, 3 bedrooms with two single beds and has 3 bathrooms. 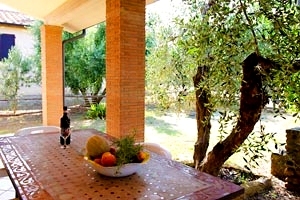 Villa A can accommodate 8 guests in 2 double bedrooms and 2 bedrooms with two single beds and has 2 bathrooms. 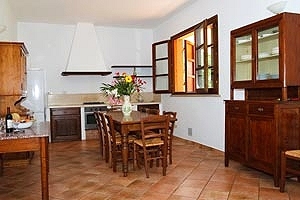 In particular, it composes of kitchen, large living room with fireplace, a twin bedroom adjoining to a small bedroom with bunk beds, two double bedrooms and two bathrooms. 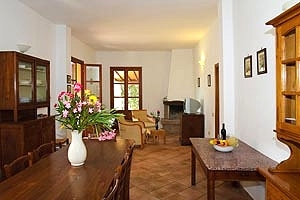 Villa B can accommodate 6 guests in 2 double bedrooms, 1 twin bedroom and has 1 bathroom. 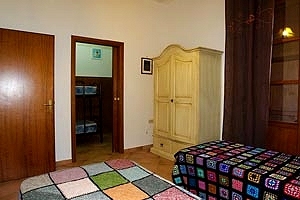 In particular, it consists of kitchen, large living room, two double bedrooms, a twin bedroom that can be transformed into a double bedroom and a bathroom. 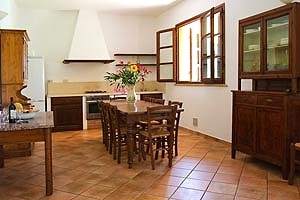 The two villas can be rented separately or to a single group of 14. 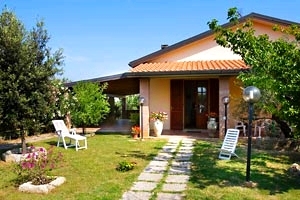 The property has a swimming pool in common to the two villas. 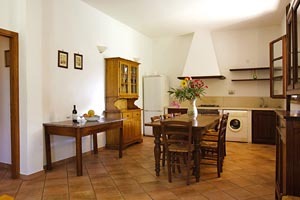 Both villas come with barbecue, satellite TV, microwave oven, oven, dishwasher, washing machine, cot beds and private car parking space. 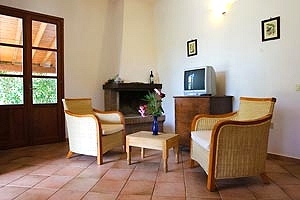 Villa A has also a fireplace. 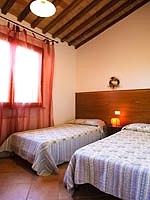 Shops and services of any kind are 2 kilometres from the property. 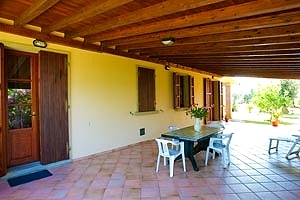 A tennis club, a riding stable and a golf club are within 5 kilometres of the estate. 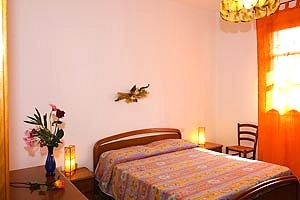 Some thermal baths are 15 kilometres from the complex.